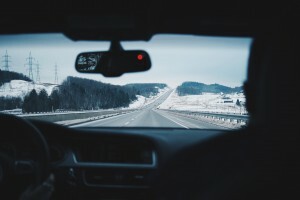 It’s true that you need to be extra careful when cruising down winter roads, but there are also many other winter driving stories you shouldn’t believe. Here are a few winter myths you can ignore. Last month All Service Oil brought you a list of tips to remain safe while driving in the cold. This month they have compiled a list of myths surrounding winter driving. After all, we’re still in the middle of the winter, and the roads haven’t gotten any safer. Winter driving requires more care and focus, and that’s a fact. So brush up on your winter driving knowledge by reading this list of debunked winter myths. It does make sense to believe that an all-wheel drive can keep you safer in the snow, but this is not the case. It might help you accelerate or have better traction than a two-wheel drive, but they aren’t always the safest option. The added weight on all-wheels drives makes stopping in snowy and icy roads more complicated, especially for inexperienced drivers. Instead of looking for a more powerful looking car, focus on improving your driving techniques. Remember to accelerate and brake slowly, and always leave a big space between yourself and other vehicles. Modern cars are more tolerant of the cold. They don’t need to be left idle for an extended period. Older vehicles, which weren’t fuel injected or computer controlled, required that warm-up period. The main reason why you should let your car warm up for a bit is to allow the oil to start flowing back into the engine. However, synthetic lubricants don’t need a lot of time to begin doing their job, even in freezing temperatures. Instead of letting your car excessively burn off fuel while your wait for the oil to get warm, get an AMSOIL Synthetic Oil change. Their Signature Series 0W-20 Synthetic Motor Oil is ideal for cold winters. You can make your purchase online or call All Service Oil at (763) 257-3130 to place your order. Still, if you feel like you must let your car warm up, let it do so while you gently drive. Underinflating your tires might make them have wider contact with the ground, which might maybe help but it’s not likely. Under-inflated tires can unbalance your car when you make turns. Taking the air out of your tires will also reduce traction on the road. You should consider over-inflating your tires during the winter since the cold makes the pressure drop anyways. If you’re interested in learning more about the proper tire pressure during the winter, the guys at Car Talk have a more thorough explanation. Winter tires aren’t just for long excursions. They have been designed with a specific tread that will allow smooth rolling in any conditions, even in the cities where there’s often less snow. Winter tires have a better grip on cold, slippery roads. Getting a set of winter tires is one of the easiest and most cost-effective ways of staying safe in the snow. Don’t forget to change them back once the heat begins! The ABS might increase your stopping distance in slippery conditions, but it also gives you a better control of your vehicle and prevents your wheels from locking up. While it will take you longer to come to a full stop, you will be able to steer your vehicle with more ease and avoid crashing into other obstacles and cars. You should do the opposite. Those groves are snow that’s fallen over ice. Those patches are more slippery and dangerous. Try to switch lanes to avoid those snow-packed ice areas. Don’t do this! It seems like a fast and easy solution to melt away the ice on your windshield, but it’s not a good idea. The extreme temperature change can shatter the glass. Just stick to your ice scraper and some de-icer spray and do the job yourself. Make being a better car owner part of your New Year's resolutions and keep your engine lubricated and your car moving with an AMSOIL Synthetic Oil change this winter. All you need to do is call All Service Oil at (763) 257-3130 to get some exclusive recommendations and place your order. You can also check out all their lubrication products at their online store.